Recently, Shenzhen Longgang District’s 10th list of industrial parks, public service platforms and key enterprises in cultural and creative industries in 2017 were released. Shenzhen KTC Technology Co., Ltd and Shenzhen KTC Business Technology Co., Ltd, both subsidiaries of KTC Group, were appraised as Longgang District’s Key Cultural Enterprises. To carry out the 19th CPC National Congress’ major decisions, adhere to the important thought of cultural confidence and promote heathy and sustainable development of Longgang District’s cultural industry, this appraisal inclusive of such sequences as material submission, material audit, open reply, expert review and publicity was performed based on the Rules for the Implementation of Using the Special Fund for Economic and Technological Development to Support the Development of Cultural and Creative Industries of Shenzhen Longgang District. 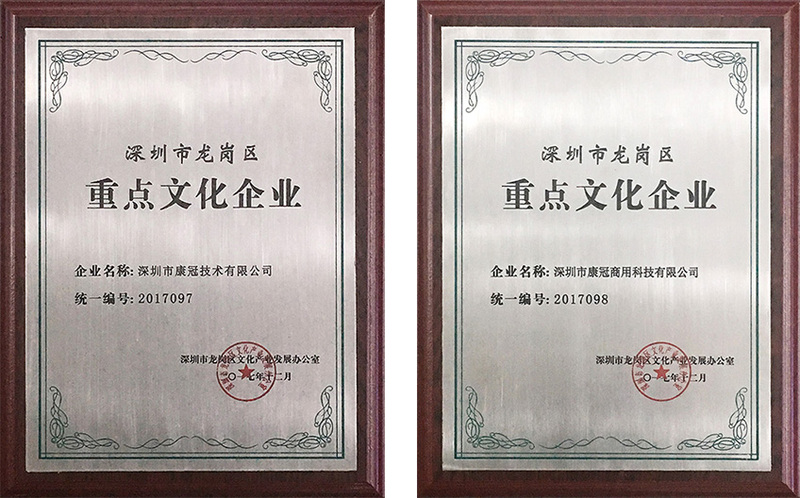 With acclaimed cultural products/services, modernized organizational structure and business model, KTC was awarded Longgang District’s Key Cultural Enterprise by the Cultural Industrial Development Office, Longgang District, Shenzhen. With the corporate mission of Bettering Lives with Technologies, the business philosophy of Honest Management and Quality & Service Focused, and the service concept of Customer First and Touched Everywhere, KTC, which has persisted in its corporate values and attached importance to its cultural development for over 20 years, is giving full play to the panel display’s value in such diversified fields as culture & education, business, travel and lives by penetrating many industries like display, LCD TV, medical/commercial display and exploring the culture-business-travel vitasphere in depth. Looking forward, KTC will go ahead for a spiral ascending trajectory integrating technological innovation, corporate social responsibility and employees’ improvement, all of which will aid in KTC’s sustainable development.